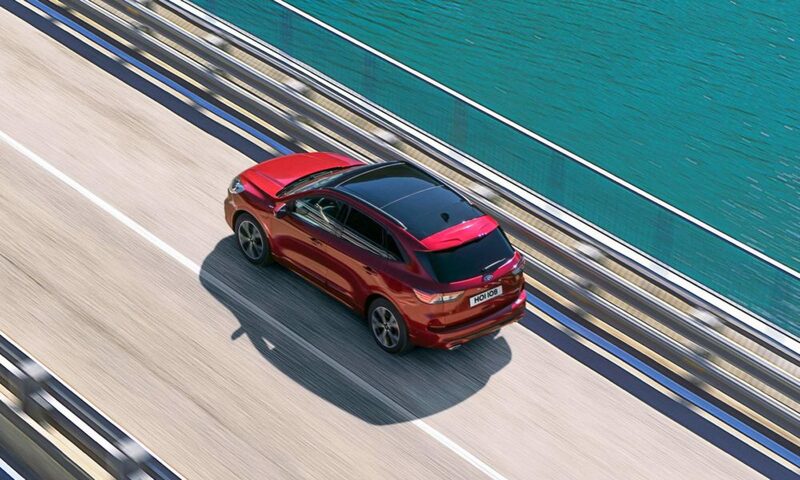 One of the best selling models of the Blue Oval in Europe is the Kuga. 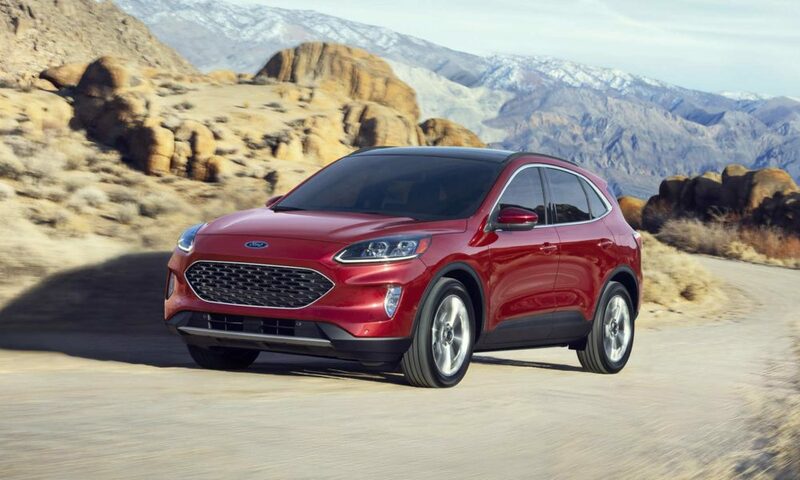 For Ford, it is No.3 in the region after the Fiesta and Focus. 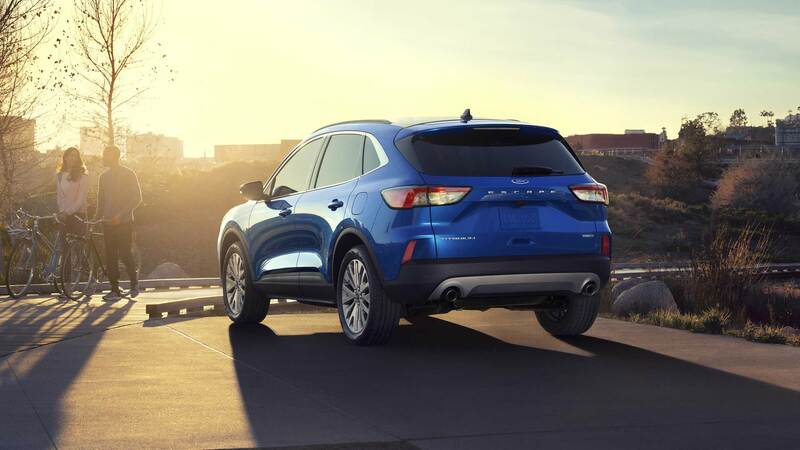 The compact crossover is now in its third generation to continue that success story. 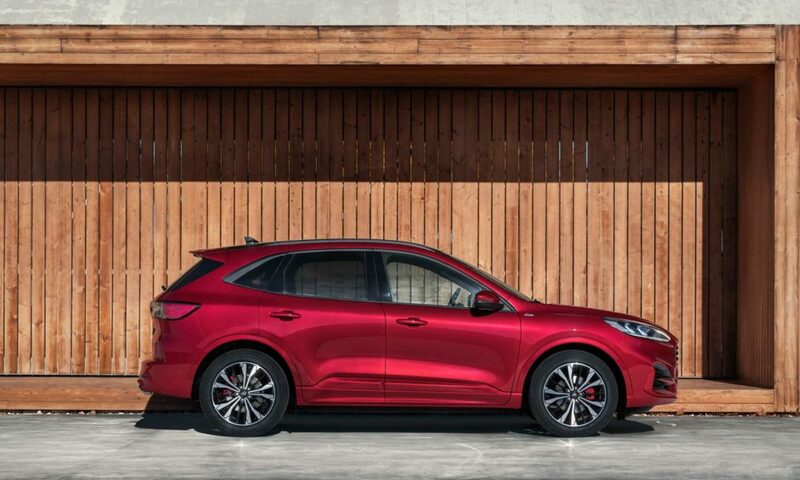 The new Kuga is the first SUV to be based on Ford’s new C2 architecture that is designed to support improved aerodynamics for better fuel-efficiency, and reduces weight versus outgoing models by up to 90 kg when comparing equivalent powertrain variants. 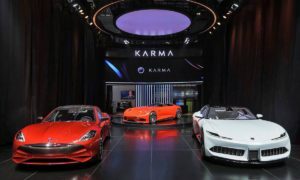 In addition, Ford says that the new architecture is designed to enhance crash performance, and delivers 10 per cent more torsional stiffness for improved driving dynamics and refinement. 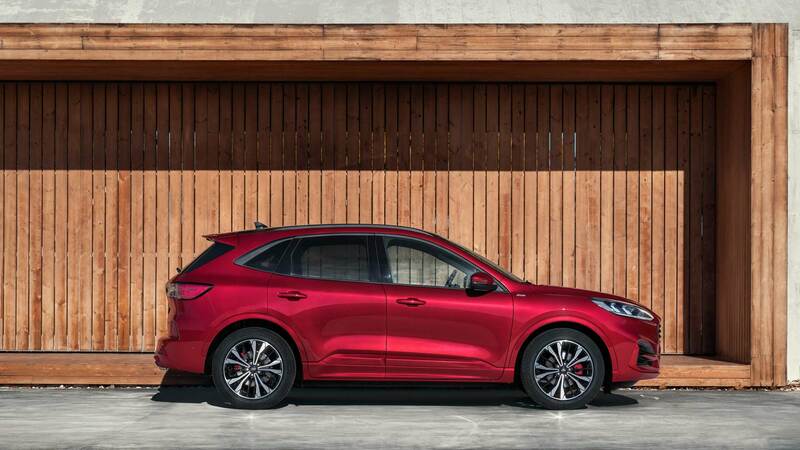 There’ll be Kuga Vignale, ST-Line and Titanium variants. 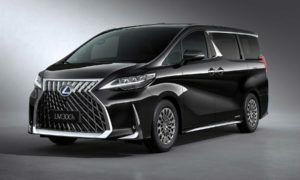 Highlights of the Titanium include a sporty front skid plate and rear diffuser, body-coloured mirrors, side cladding and door handles, LED DRLs and standard 17-inch, or optional 19-inch alloy wheels. The upscale Kuga Vignale gets satin aluminum finishes for the roof rails, bumpers and rocker inserts, chrome finished front mesh grille and twin tailpipes, and standard 18-inch, and optional 19-inch or 20-inch alloy wheels. 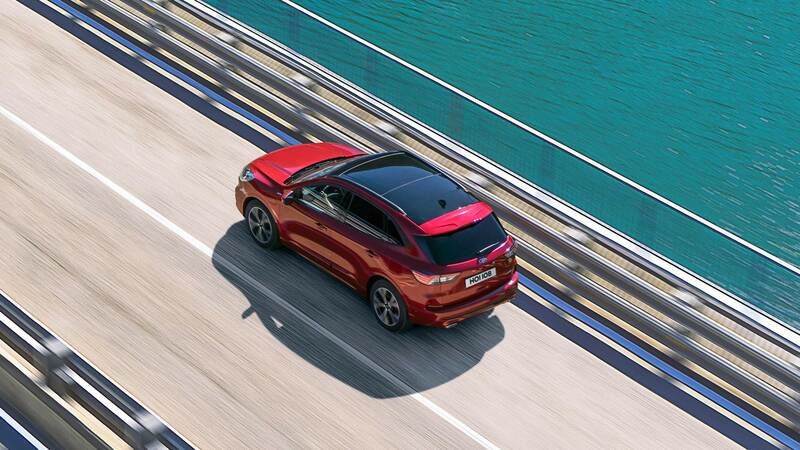 The Kuga ST-Line gets styling elements inspired by Ford Performance. 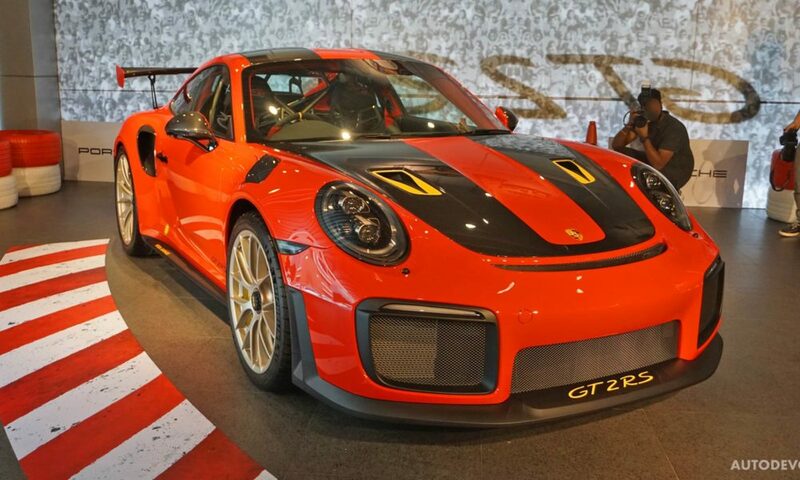 These include a large rear spoiler, standard 18-inch or optional 19-inch alloy wheels, and twin sporty tailpipes. 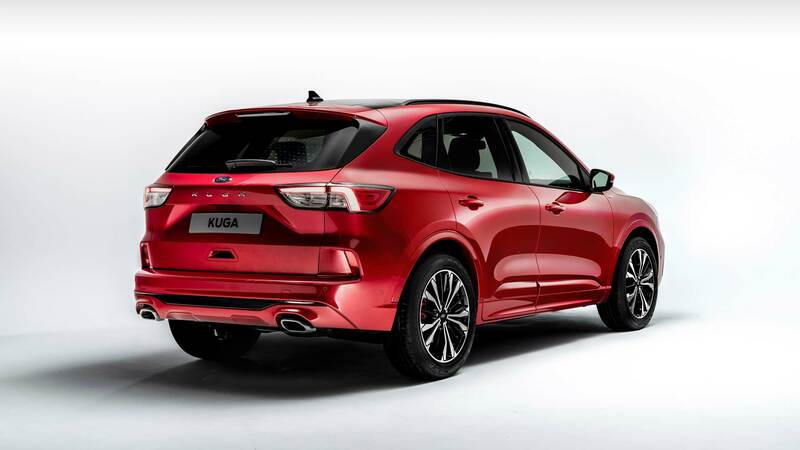 The new Kuga is offered in 12 colours, including new metallic Diffused Silver and Sedona Orange. Blue Panther, a new finish offered exclusively on Vignale models, joins triple coat Lucid Red and Star White Pearl premium paint finishes. 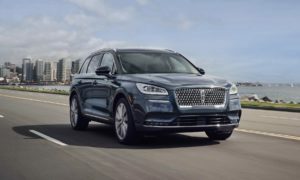 As for the interiors, the Vignale gets Windsor leather seats with an exclusive Vignale hexagon design, a leather wrapped heated steering wheel and premium velour floor mats. 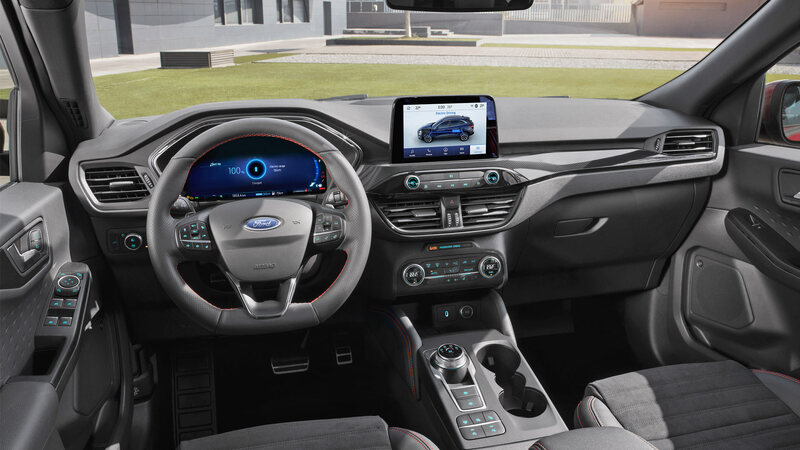 The sporty ST-Line gets a dark headliner, exclusive ST-Line seat designs with contrasting red stitching, alloy pedals, flat-bottomed steering wheel, and ST-Line floor mats and scuff plates. 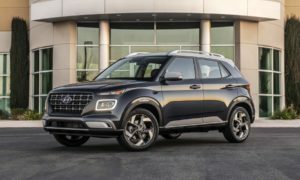 Equipment list includes 12.3-inch LCD instrument cluster, 8-inch central touchscreen that can be operated using pinch and swipe gestures, Apple CarPlay and Android Auto, and B&O Sound System. 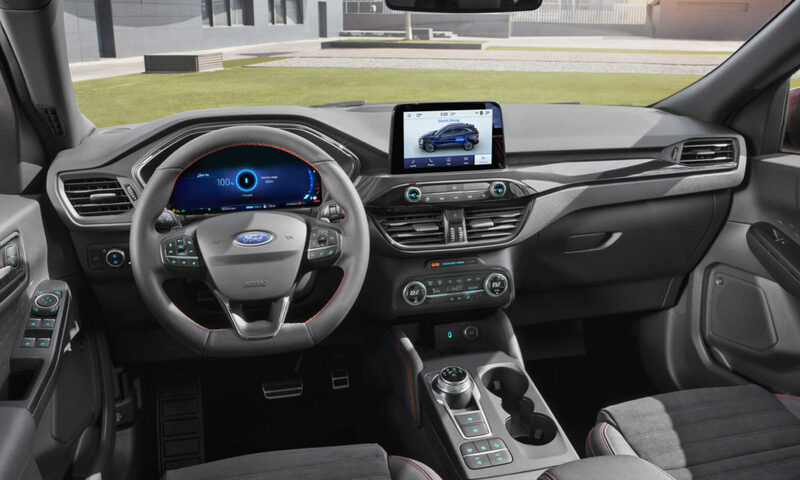 For the first time, Kuga is offered with FordPass Connect embedded modem technology that turns the vehicle into a mobile WiFi hotspot with connectivity for up to 10 devices. 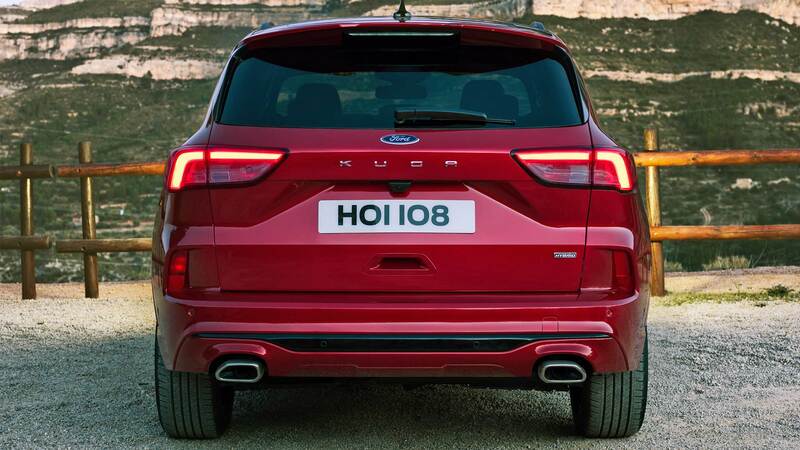 Kuga is also the first Ford SUV in Europe to offer a head-up display (HUD) that is claimed to be amongst the brightest available, adjustable in 16 increments up to 10,000 candela per metre. 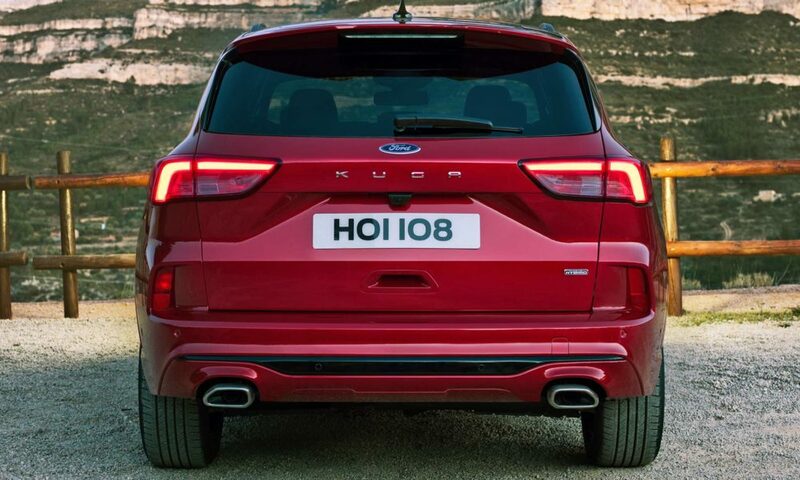 2020 Ford Kuga rear seat demonstration by a model. 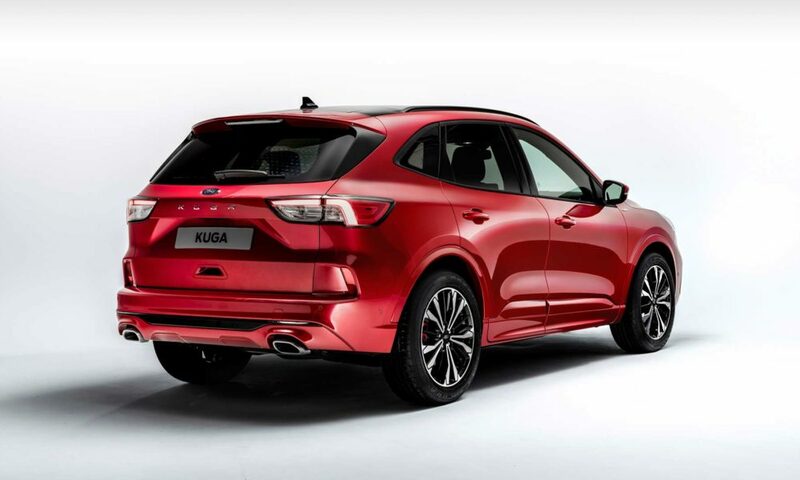 The new Kuga is 44 mm wider and 89 mm longer than the outgoing model, while the wheelbase has increased by 20 mm. 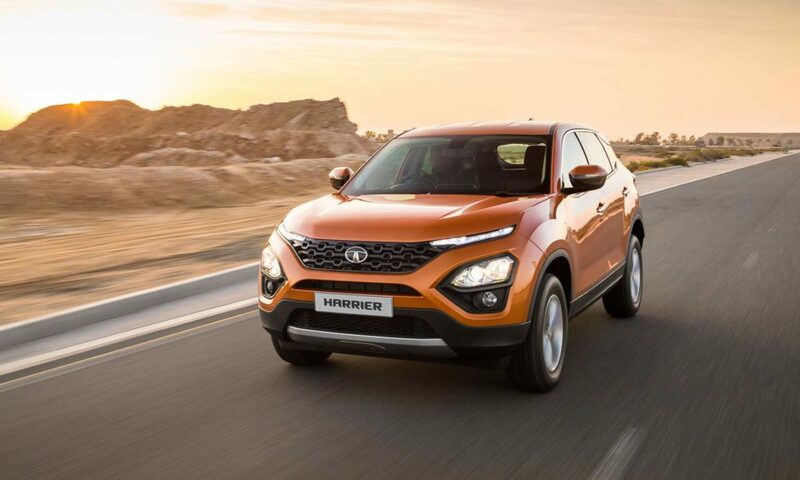 Inside, that translates to 43 mm more shoulder room and 57 mm more hip room in the front seats than the outgoing model, while rear passengers benefit from 20 mm more shoulder room and 36 mm more hip room, apparently. 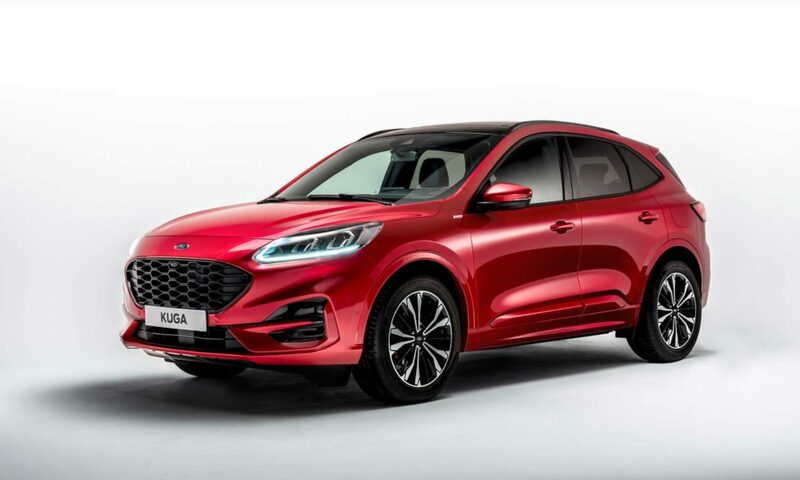 Despite an overall height that is 20 mm lower than the outgoing model, the new Kuga also has 13 mm more headroom for front seat occupants and 35 mm more in the rear, Ford said. 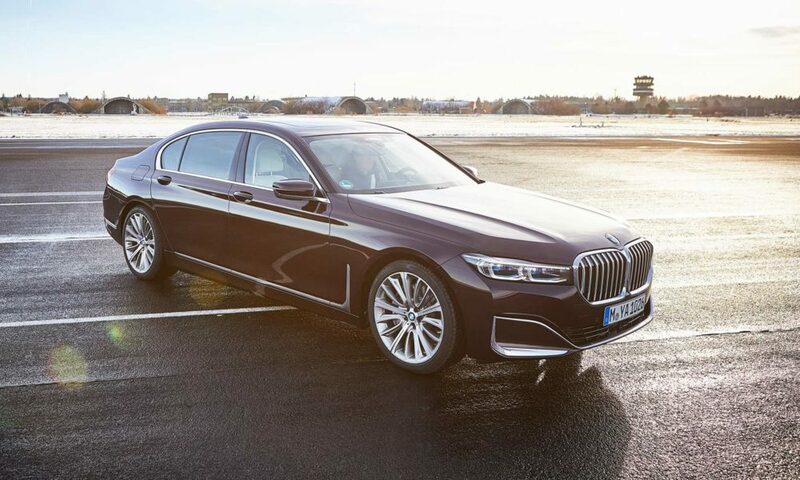 For rear seat passengers, heated outer seats are available for the first time, and the entire second row of seats can be moved backwards for 1,035 mm rear legroom – claimed to be the best-in-class, or forwards to increase boot space by 67 litres. A remote release function enables the second row to be folded flat. 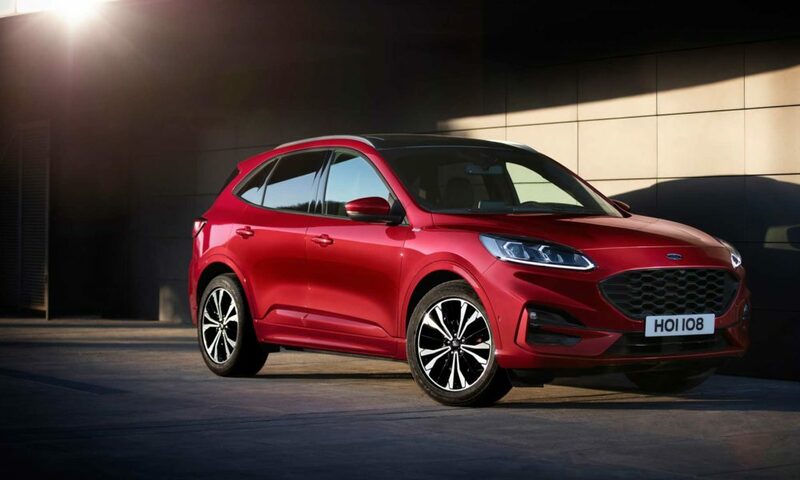 As for the safety, the new Kuga includes Lane-Keeping System with Blind Spot Assist, Pre-Collision Assist with Pedestrian and Cyclist Detection, Adaptive Cruise Control (ACC) with Stop & Go, Speed Sign Recognition and Lane-Centring. 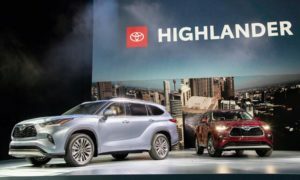 More technologies include Active Park Assist 2, Evasive Steering Assist, Lane-Keeping Aid, Wrong Way Alert, and Adaptive Front Lighting System. 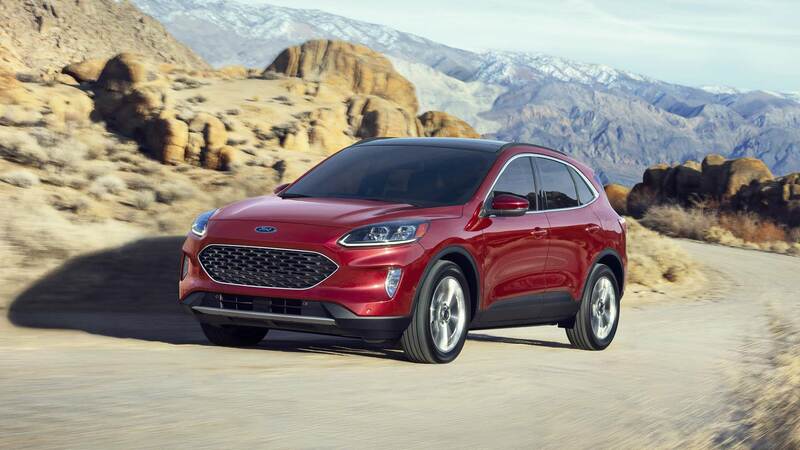 Ford Kuga’s North American cousin is called Ford Escape. 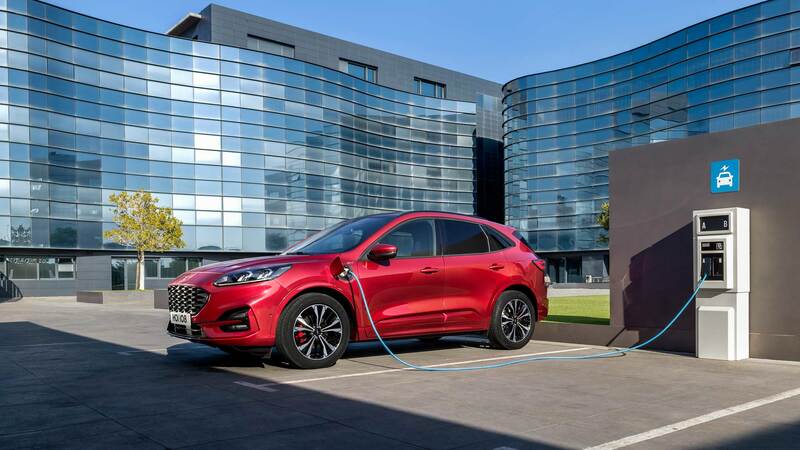 Moving on to the business end of the story, the 2020 Ford Kuga is the first Ford vehicle to be offered with plug-in hybrid, mild-hybrid and self-charging hybrid technology. 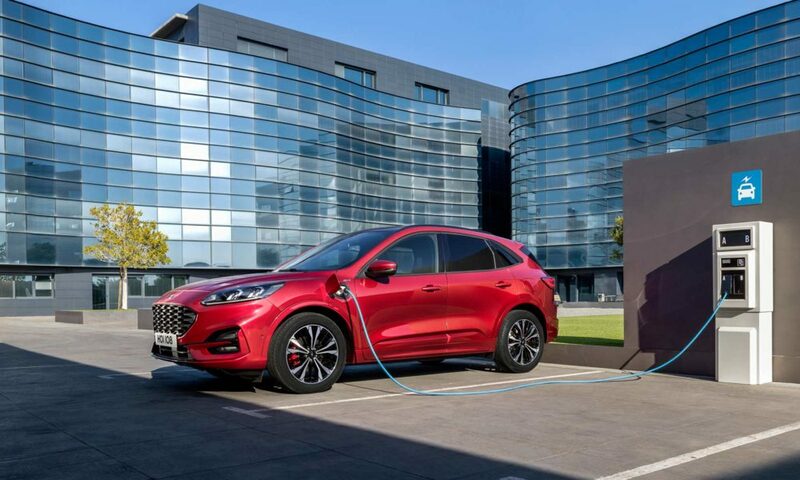 The Kuga plug-in hybrid combines a 2.5-litre 4-cylinder Atkinson-cycle petrol engine, electric motor and generator, and a 14.4 kWh lithium-ion battery to produce 225 hp. Ford says that it is also capable of delivering a pure-electric range of over 50 km. 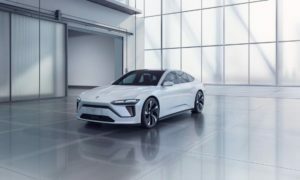 The battery is expected to take around 4 hours to charge from an external 230-volt supply. 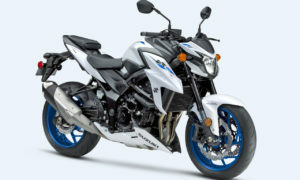 For those who like it mild, a 150 hp 2.0-litre EcoBlue diesel engine is combined with a 48V mild-hybrid technology that employs belt-driven integrated starter/generator. 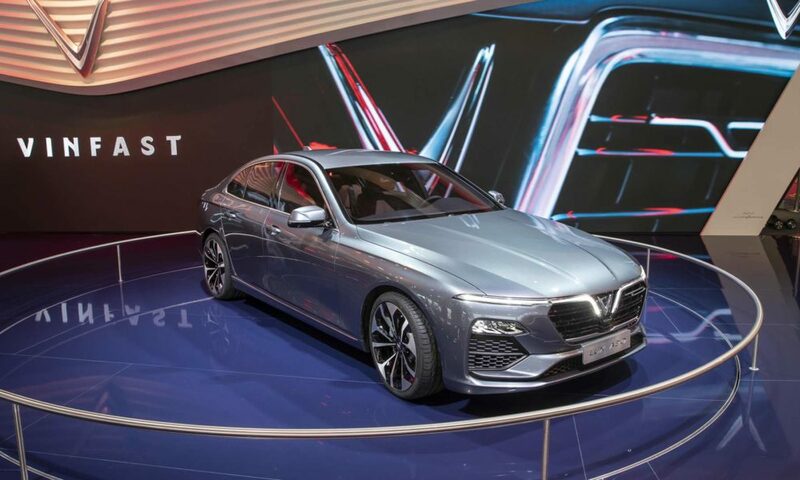 As for self-charging hybrid, the variant combines a 2.5-litre Atkinson cycle petrol engine, electric motor, generator, lithium-ion battery, and an automatic transmission. 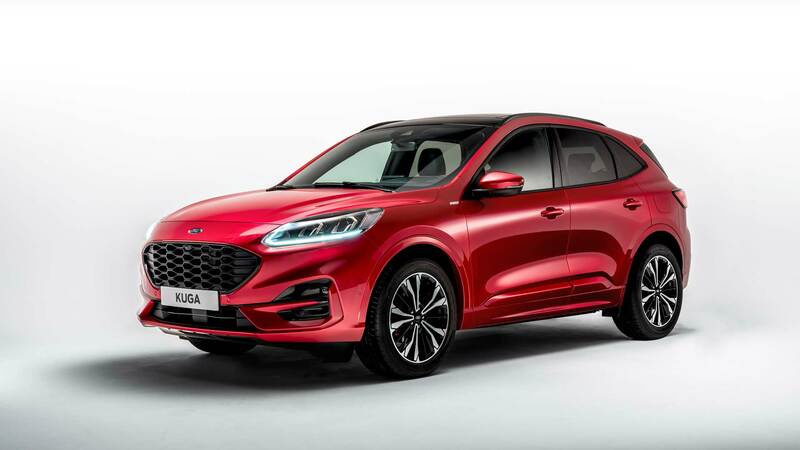 The Kuga Hybrid will be available later in 2020 with front-wheel drive or AWD. North American markets get 2.0 EcoBoost engine with 250 hp and 275 lb.-ft. (373 Nm) of torque (using 93 octane fuel). 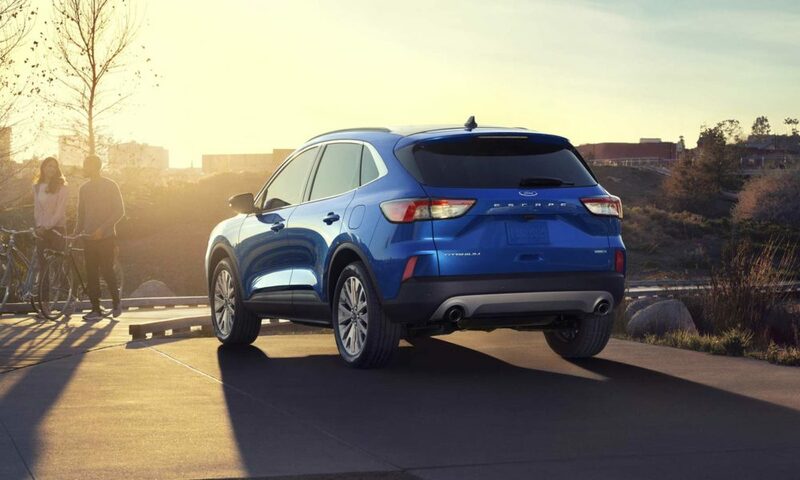 Buyers can also choose from a range of EcoBoost petrol and EcoBlue diesel engines, paired to a 6-speed manual or a new 8-speed automatic transmission. 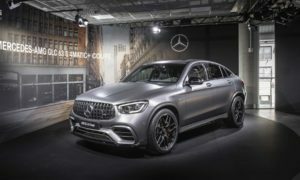 These include 190 hp 2.0-litre diesel, 120 hp 1.5-litre diesel, and 1.5-litre 3-cylinder EcoBoost petrol engine offered with 120 hp and 150 hp. The EcoBoost gets cylinder deactivation technology that can disengage or re-engage one cylinder in 14 milliseconds – claimed to be 20 times faster than a blink of an eye.